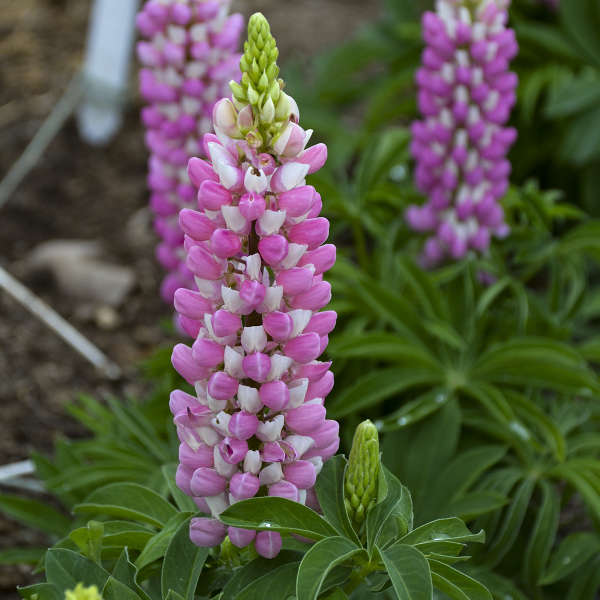 Lupinus polyphyllus MINI GALLERY� Series - Pink Bicolor | Walters Gardens, Inc. 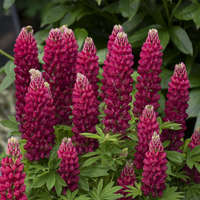 This new series of Lupine from HM Clause in France is touted as being more compact, more floriferous, and earlier blooming than the Gallery Series. In height, these are shorter than the popular Popsicle Series. 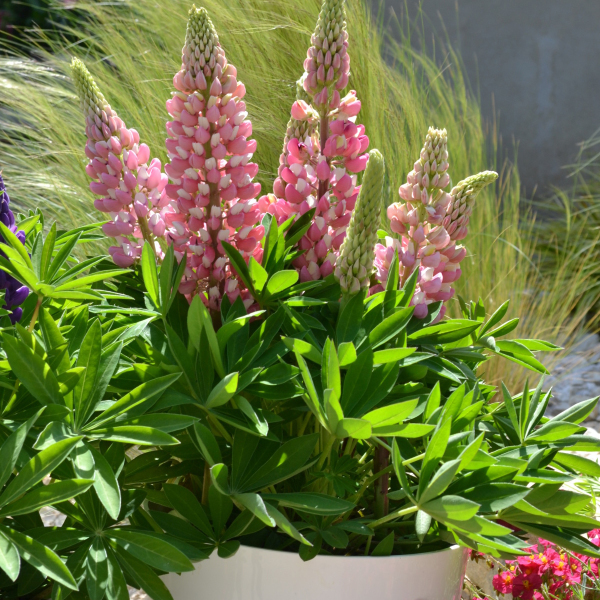 Although Lupines are typically short-lived plants, they really come into their own on warm, sunny days and cool nights when planted in mass. 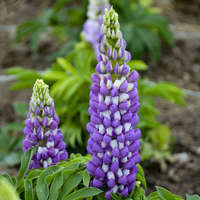 Feed lightly at each watering with 75-100 ppm N.
Lupines are cold beneficial but we do recommend vernalizing them for 8-10 weeks at temperatures below 45° F. This greatly increases the bud count and quality. Aphids, thrips and whiteflies are the most common pests. Ascochyta, Colletotrichum, downy mildew, powdery mildew and rust that cause foliar diseases on lupines. Crown and root rots caused by the pathogens Fusarium, Phytopthora, Pythium and Rhizoctonia. 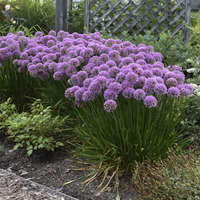 It is best to avoid having moisture remain on the plant for too long. Water in the morning to allow the foliage to dry before sunset. Plant lupines in a high quality, well drained, bark based media. Moderate to slightly dry. 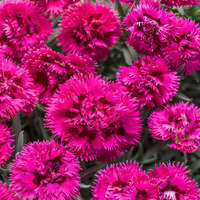 When irrigation is needed, water thoroughly and then allow media to dry slightly. The top of plug should be level with the soil line. Multiple spray applications of 2,500-ppm daminozide (B-Nine or Dazide), 20-ppm paclobutrazol (Bonzi, Paczol or Piccolo), or 2,000-ppm daminozide + 3-ppm uniconazole (Concise or Sumagic) at seven-day intervals. 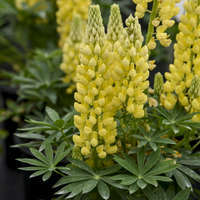 Under long days lupines will flower in roughly 10-12 weeks. Force under cool temperature for best results.